The apps on this page will help you animate, create books, comics and films, manipulate images and do lots of other whizzy things to support writing, speaking and listening! The three animation apps here show how progression can be achieved with an ipad. Start your children with sock puppets. A lovely fun app! photos and narrative. Check out year one's Hungry Caterpillar animations here. You may have already seen I can animate for the PC. Now it's available as an app. Take a look at the animations created in Mr Santy's class. Comic Life is an easy app for creating comic books. Take a look at our class blog and how one of my year 2s used it. There are some great ideas for using comic life in the files at the bottom of the page and a helpful blog about it here. Animate your friends quickly and turn them into dancing, talking, alternative characters with Morfo. Seehow it has been used to start a drama lesson here. Have fun! A great app for making movies with your favourite lego heroes. It's free too! Use skitch to annotate the photos that you take, plot your route on a google map or just sketch! 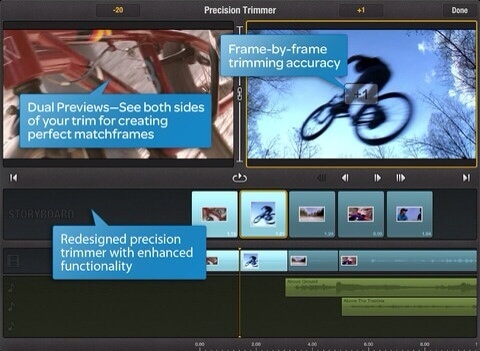 Create slick movies quickly with imovie. Check out this tutorial if you need help. The worlds first visual browser. Read all about it here or click on the photo below to watch a youtube demo. There is also a great explanation here from Kelda Richards (@Elke199). Add some Hollywood style effects to your films with the action movie fx app. Create amazing vintage videos in minutes with silent movie maker. An iphone app that will let you add music, title cards, transitions, effects and more. The best way to find out what this app does it to watch this clip made by @skinnyboyevans. Adorable!